Join us in celebrating this month's Dragon Lord Spotlight with player BeledinesSoul! In addition to being an accomplished player, she is also a published author and screenwriter! BeledinesSoul has a ton of helpful advice for fellow players and creatives which she divulges in our interview with her below. We've also had the joy of featuring BeledinesSoul on our Facebook Live stream! Be sure to take a look in case you missed it. [A]: I’m a newly-minted level 126, and my amazing team is LeagueofSouls. We’re currently bouncing around Sapphire league. [A]: About 13 months ago (not that I’m counting!). I was bored at work one afternoon and decided it was time for a new game. I used to play a lot of different dragon games, but I would inevitably grow tired of them after a few weeks. I looked up “dragon” in the app store, and War Dragons popped up. I downloaded it, telling myself I wouldn’t get too deeply involved...I’ve been obsessed ever since. What challenges do you face when leading or being an officer of your team? Do you have any advice for others who want to build up a strong team? [A]: I’ve been with LeagueofSouls since day one, and I’ve seen us grow from the bottom of Silver to the top of Sapphire. I was promoted to Officer rank at the tender age of level 11, and was elected to be Leader about a month after that. One of the biggest challenges along the way was trying to find 50 dedicated, loyal players who shared a vision for the team. We wanted to be competitive, but not at the expense of sacrificing friends who were low level or who couldn’t be as active due to real life conflicts. As we grow -- and as the game changes end evolves -- we must constantly be thinking of new ways to support each other. We had to change our war strategy since the introduction of the defense counter, and we recently came up with a new system of requesting and transferring resources which has worked incredibly well. Every day we learn and get stronger together, and I’m very proud of how far we’ve come! In terms of advice, I believe communication is the cornerstone of any successful team. I write messages to my team on a daily basis with little updates -- what’s our strategy for the night’s wars, who did a great job defending, what we’re doing for events -- so we’re all on the same page. We also encourage everyone to be involved and to get to know one another. Once you start connecting with the people on the other end of the screen, you become family. And once you reach that level with your teammates, things become easier because a family sticks together. We help each other out, defend each other, talk about our lives, laugh and cry together through the good times and the bad, work together to win wars, and have a great time just flying and enjoying each others’ company. The best teams are those that have been built on the foundations of loyalty and trust. Who is currently your favorite dragon and why? [A]: It’s hard for me to pick a favorite. I’ve never been partial to hunters but I’m really liking Whalegnawer. I find cloak better than Consurgens’ healing mark because it makes Whale more sneaky. However, Kaiju is my go-to dragon for wrecking bases and winning wars. Even though mine is den-capped (again!) until I reach level 132, I’ve taken out level 200s with him. Plus I like his design, it reminds me a bit of the D&D gold dragons. Honorable mentions go to Amarok and Enki. Oh, and I will always and forever love Dodo. Communication is the cornerstone of any successful team. In addition to playing War Dragons, you’re also a published author and screenwriter. How do you manage to get so much accomplished? [A]: I’m not sure. I think it has something to do with my carefully-honed delicate balance of being an insomniac and being completely crazy. We recently had the pleasure of chatting about your new novel, Dragon Speaker, with you! For those who may not have heard about it yet, can you tell us all a bit more about Dragon Speaker? [A]: Dragon Speaker is the story of Keriya Nameless, who’s born into a world where everyone can wield magic, except for her. So it’s like a reverse superhero trope. Then she’s chosen by the dragon god Shivnath to go out and save the last dragon in the world, even though she seems to be the most unlikely of heroes. She journeys to the land of Allentria with her friends, Fletcher and Roxanne, to try to complete the quest Shivnath has given her. Soon she learns that a lot of people want to get their hands on the dragon she’s supposed to be saving, everyone from the empress of Allentria to an ancient and powerful warlord. So she’s got her work cut out for her! Can you tell us a little more about Keriya? Why do you think readers will connect with her? [A]: Keriya is a 14-year-old girl who grew up in an isolated village. 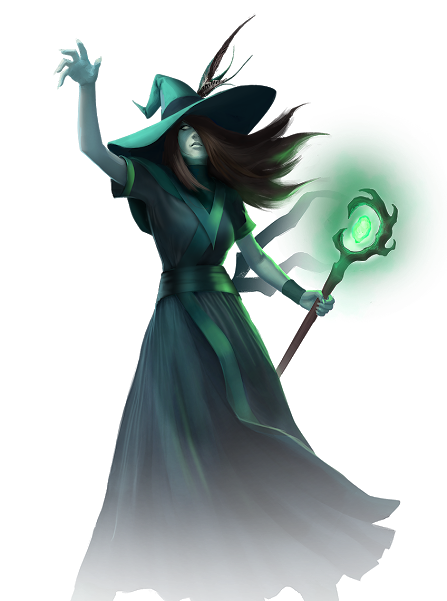 The people there shunned her because of her lack of magic, so she’s always been an outcast. I think everyone can relate to feeling left out, but more than that, I think readers will relate to her because she’s flawed. She finds herself in a dangerous world on this epic quest, and she has no idea what to do, where to go, or how to accomplish her aims. She muddles through and does the best she can with what she has...sometimes it works, but oftentimes she just lands herself in more trouble. What about the world of Allentria makes it so special or unique from lands in other fantasy novels? [A]: To me, Allentria has always felt more modern than the civilizations you usually find in epic fantasy. The country is on the brink of the industrial revolution; their progress has been slowed down by the fact that everyone can wield magic (so they have less need for machinery), but they’re a lot more technologically advanced than the people of Middle Earth or Westeros. Also, I think the fact that magic is such a huge part of this world is what makes it special. Everyone has powers and they’re seamlessly integrated into everyday life; but what’s commonplace to the Allentrians is extraordinary to Keriya (who has no magic), and to our audience. 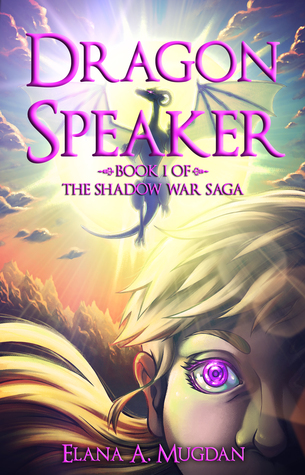 What types of readers do you think will enjoy Dragon Speaker the most? [A]: The book is being marketed as a Young Adult novel, but I think it’s appealing to all fans of fantasy. I would actually recommend it to a slightly older audience, because in the same way that many series are designed to grow more serious as their fans age, this series gets darker with each successive book. If you were a fan of Harry Potter, Eragon, or the Age of Fire series, you’ll like this book. If you like adventure books, you’ll like this book. If you like character-driven books, you’ll like this book. And most importantly, if you like dragons, you’ll like this book! Where did you draw your biggest inspirations from? [A]: My biggest literary influences were series like The Lord of the Rings, The Wheel of Time, and His Dark Materials. These are the books that shaped my writing style. I was reading Wheel of Time at around the same time I started work on The Shadow War Saga, and I remember being impressed by the fact that Robert Jordan switched viewpoints between his many different characters. That was the first time I’d encountered something like that, and I thought that it was a more powerful way to tell a story. I adopted that technique and it opened up so many new writing opportunities for me! A dragon would make a pretty cool companion, but we heard you have a few exotic pets of your own! Can you tell us more them? 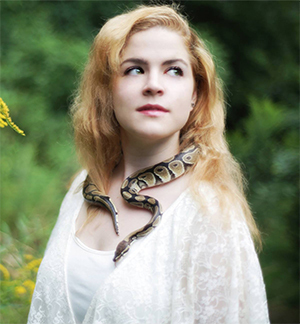 [A]: I have a ball python named Medusa. I adopted her a few years back (her owner was just going to throw her away because she was getting too big). I love all animals and I particularly love snakes, but she’s honestly the sweetest, most gentle snake I’ve ever met. If you have a fear of snakes you’re trying to beat, Medusa is definitely the snake you should break the ice with! What advice do you have for others interested in taking the plunge into writing? [A]: I’d tell them that, like anything else, writing requires practice to get good at it. If you love writing and you want to write, you have to set aside a little bit of time each day to do it. Try to devote an hour or two each night to working on a project. It gets you into a routine and you become disciplined. Also, it helps if you read a lot! If you read good books, you’ll pick up on good writing techniques. If people would like to keep up with you and your work, what are the best places online to do so? Lastly, but most importantly, what or who will you be for Halloween? Huge thanks to BeledinesSoul for participating in this month's Dragon Lord Spotlight!